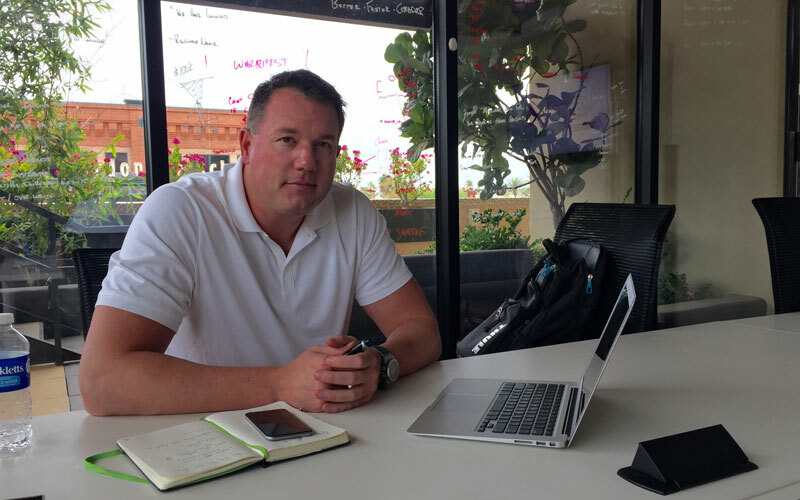 The creator of a Tempe-based company believes he has unlocked the secret to helping local businesses get customers through the door. In January, Railway Technologies launched Railway Search (soon to be Railway Loop), an app that allows customers to search for products and shows them where they can find them. It also provides digital coupons customers can redeem at physical stores. Railway began to map out businesses in Tempe in January 2015. It digitized more than 350,000 products in more than 350 businesses. Stores use the Railway Station app to geotag their products for users who search for a particular product. Reis came up with the idea for Railway on a business trip in New York. After catching a red-eye flight, Reis said he “needed four Red Bulls.” Unable to find the energy drink, he ended up snoozing through his meeting. Later, as he prepared for a gala, he realized he forgot cuff links. Reis became an entrepreneur in 2007 and founded two companies that dealt with payment solutions. One company, MobiSquad, processed the first Apple Pay acceptance in the United States in 2010, Reis said. In September 2015, he sold both companies. Reis created Railway to take advantage of those “need” moments. Businesses can use Railway Station to track demographic information, traffic frequency, coupon redemptions and the items customers buy in the store. He compares Railway to the railways that connected the east to the rest of America in the early 1900s, saying the railways didn’t own the locomotives or the products, but it connected businesses to customers. Oborn works with sales organizations to help connect with businesses and get their products online. He said the biggest challenge is making sure everything works smoothly once he gives sales organizations the green light to connect with local stores. “We have to have our ducks in order so that once we hand (businesses) these tools, it works well enough that we don’t run into problems,” he said. One of the stores that took part in the beta phase was Thirsty Dog 2 Go in Tempe. Its owner, Brandon Manus, said he has seen the benefits of Railway already. “We’ve unlocked the secret of connecting with mobile target audiences,” Reis said. “We have created a solution that actually gets people to start shopping locally again. Railway plans to connect delivery services to the product-searching tool in the future. Oborn said the goal is to be the connective tissue between businesses without being on the frontlines of the ecosystem. “This is such a big concept that we want to work with everybody because there’s plenty of money to go around,” Oborn said. “There’s no need to be greedy, and we want to keep the consumer the center of the universe because if the consumer wins, then everybody wins. CORRECTIONS: An earlier version of this article misspelled Cody Oborn’s name. It inaccurately described Nate Reis’ involvement with MobiSquad. He founded the company. The article also incorrectly described Reis’ educational experience at Harvard University. He attended a business school management program there.